Are Today’s Students Prepared to Enter the Tech Industry? Half of the highest-paying jobs for college graduates are in technology, but—despite the high pay—employers struggle to fill these and other positions. According to the National Science Foundation, in 2013, there were 262,981 blacks, Hispanics, and Indian Americans ages 45 years and younger with bachelor’s or advanced degrees in computer and mathematical sciences or electrical engineering—three of several fields closely associated with high-tech jobs. They represented 18.8 percent of degree holders. Yet, Silicon Valley’s tech workforce in 2015 was only 2.2 percent black or African American, 4.7 percent Hispanic, and 0.1 percent American Indian or Alaska Native. While the technology sector is booming, American tech graduates—especially people of color—frequently remain unemployed or shift to occupations unrelated to their degrees. As discussed in an earlier report, putting aside hiring failures and hostile environments at tech companies, there remains a widening gap between job requirements and the skills that universities provide their students, especially people of color. In particular, there are significant problems related to the lack of mentoring provided and networking available to black and Hispanic students that could serve to fill the void between critical labor markets and connections related to course selection and work experience. In recognition of this gap, Howard University and Google recently joined forces to create Howard West, a program for 25 to 30 rising junior and senior computer science students from the university at Google’s headquarters in Mountain View, California. The program, which begins in summer 2017, will take place over three months; senior Google engineers and Howard faculty will act as teachers, and the program appears to be largely instructional. Similarly, Georgia Tech and Udacity recently teamed up to provide a series of free online courses that are directly applicable to a range of careers in technology for individuals with a bachelor’s degree in computer science. These efforts are an acknowledgement of the disconnect between what students are learning through curriculum and work experience while in college and what technology companies are looking for in candidates. What is actually required to get a job? There are a variety of jobs available in the tech sector. However, most students graduating from college are focused on becoming software engineers, software developers, systems engineers, computer systems analysts, web developers, computer network architects, information security analysts, and data systems administrators. Most of these jobs require at least a bachelor’s degree in computer science, electrical engineering, or a related field such as computer engineering. Indeed, Google’s “Technical Development Guide” for students interested in an internship or a job is specifically tailored to computer science majors. Job requirements at tech companies, however, are often incompatible with the general preparation provided by computer science and related university curricula. According to undergraduate computer science curriculum guidelines developed by the Joint Task Force on Computing Curricula of the Institute of Electrical and Electronics Engineers (IEEE) Computer Society and the Association for Computing Machinery (ACM)—the two preeminent professional organizations in technology—one-third of core courses should be allocated to software development fundamentals, software engineering, as well as social issues and professional practice. Yet, many schools do not incorporate soft skills such as communication, design, or project-based training into their core curricula, leaving them instead as electives. Nor do they require the hands-on experience such as internships, work in a professor’s lab, or participation in hack-athons, all of which are preferred by tech companies. Thus, students at even the best schools who simply follow the basic curriculum are at a distinct disadvantage in finding jobs. Because students of color are less likely to have a mentor or contacts with access to information about job opportunities and career trajectories, they are especially vulnerable to the deficits in the core curricula at universities. Many undergraduate computer science core curricula, including those ranked among the top programs in the United States, remain firmly entrenched in technical and mathematical fundamentals. For example, most of the courses needed for a bachelor’s degree in computer science at Carnegie Mellon University, one of the top sources of employees for tech giants in Silicon Valley, fall under computer science fundamentals; mathematics and probability; and engineering and life sciences. The program offers electives in applications—foundations of software engineering—and software systems—operating system design and implementation as well as computer networks—yet there is no requirement that students take those particular courses. Likewise, the University of California, Berkeley, another top program and major source of workers, requires at least one course in design—such as introduction to database systems or software engineering—but no requirement to take courses like these with direct links to highly valued qualifications. It also provides an array of introductory courses in cutting-edge technology, such as artificial intelligence and machine learning, but graduates are under no obligation and receive no formal encouragement to pursue those courses or tracks. Thus, even at the best schools that graduate highly competitive candidates, students can fall through the cracks. This is more likely to occur for black or Hispanic students who are less apt to have social networks, established prior to or during college that can provide insightful information about how to enter and navigate careers in tech industry. Although colleges and universities may offer the requisite courses to qualify students for popular tech jobs, the absence of clear curricular guidelines for pursuing those jobs means students graduating from computer science and related programs may still not have the skills top employers seek. There is an implicit reliance on students knowing which electives will be useful to their career pursuits without explicit guidance from their program. This puts black and Hispanic students and recent graduates at a distinct disadvantage due to the absence of career-related networks among these groups. Without mentors—formal, such as faculty advisors, or informal, such as managers from internships or peers who are recent graduates in relevant jobs—these students can earn an impressive degree without the skills to be hired. The disparity between job and degree requirements is also based on work experience. The hands-on experience preferred by tech companies is not necessarily required by accredited and often highly esteemed tech degree programs. This may prove to be a hurdle for students of color, since access to internships and other hands-on work is unequally distributed by race. 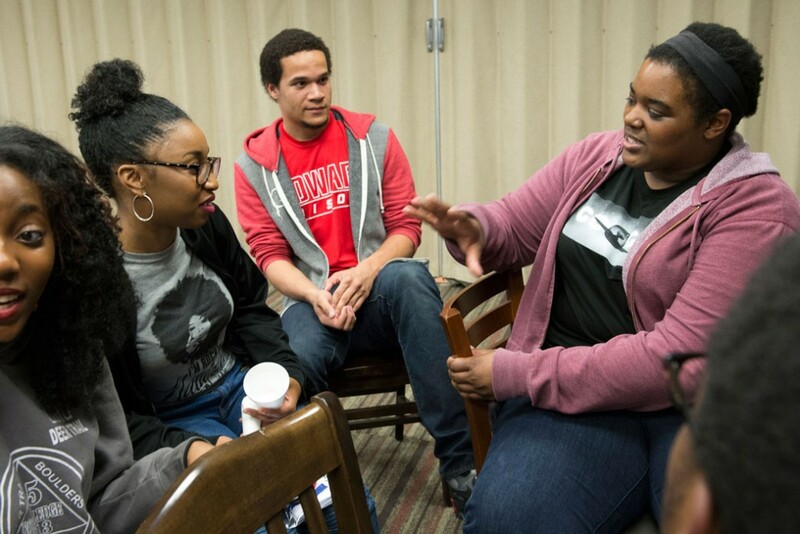 Black and Hispanic students often lack peer or familial networks with connections to these positions and are less likely to be mentored by a professor than their white counterparts are, thereby limiting their exposure to these opportunities. To combat this, a small number of independent, internship-based programs have sprung up to help place black and Hispanic tech students in internships. For example, Code2040 offers a summer fellows program targeting black and Latino students that, in addition to providing skills-building workshops and mentoring, also matches participants with some of the top tech companies in Silicon Valley, including ebay, Medium, Slack, and Twitter. However, programs such as Code2040 are rarely endorsed directly by the universities at which they recruit and offer less than 100 positions annually. Likewise, the few joint efforts between universities and tech companies aimed at black and Hispanic students do not include internships. Thus, while participants in such programs may gain valuable coursework, they still miss a critical qualification for many of the jobs popular among their generation. Increasing numbers of Americans are graduating from the top tech-related programs in the country. This includes a growing proportion of black and Hispanic students. Yet a degree on its own may not be enough to secure a job in the technology sector—at least not at a top firm. While universities and major tech employers frequently work together to determine guidelines for degree accreditation, they have spent less time cooperating to bridge the skills gaps between these degrees and the jobs their graduates can obtain. Black and Hispanic graduates may be most profoundly impaired by the absence of a clear path between the degrees and available jobs due to enduring structural and institutional inequalities that result in these students receiving less concrete guidance than their white and Asian male peers. Therefore, it is essential that possible gaps between educational requirements, internship opportunities, and job opportunities are closed. Business leaders and policymakers should take steps to ensure racial diversity in the tech industry, not only for the industry itself, but also society at large. As the country continues to diversify, increased access to financial and social capital is essential for community growth. Companies will also benefit from greater creativity, improved business performance, increased revenue, and market share. Maya Beasley is a senior fellow with the Progress 2050 team at the Center for American Progress.